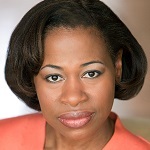 ALICE M. GATLING Alley Theatre: (end of message), Doubt (Mrs. Muller), To Kill A Mockingbird (Calpurnia), Our Lady of 121st St. (Inez), The Exonerated (Georgia), The Crucible (Tituba); Arden Theatre: Under the Skin (Marlene/Dr Badu/Barista, Originated role), Much Ado About Nothing (Beatrice); InterAct Theatre: Gidion’s Knot (Corryn Fell/Barrymore Best Actress); Florida Studio Theatre: Ruined (Mama Nadi), Black Pearl Sings! (Pearl/Regional Premiere); People’s Light and Theatre Co: As You Like It (Celia), A Flea in Her Ear (Ginette), The Icarus Box (Eddie Mower/originated role); Stages Repertory Theatre: Nickel and Dimed (multiple roles), Black Pearl Sings! (Pearl/originated role); Main Street Theater: Caroline, or Change (Washing Machine); Intimate Apparel (Esther); Woof! (Ruby Freeman/originated role); The Ensemble Theatre: No Child…. (one woman show/Giorgee Award Best Actress), The Piano Lesson (Berniece/Giorgee Award Best Actress), Fences (Rose), Flyin’ West (Sophie), Sassy Mamas (JoBillie); Judith Shakespeare Co: Julius Caesar (Mark Antony); Turnip Theatre Co: Lives of the Great Waitresses (Kay/OOBR Award Winner); Everyman Theater: Under the Skin (reprised original roles).